One of those targets was 4-star (HV Rating: 93.3) wide receiver Zavier Betts‍. The potential No. 1 player in the state of Nebraska for 2020 hails from Bellevue West High School. 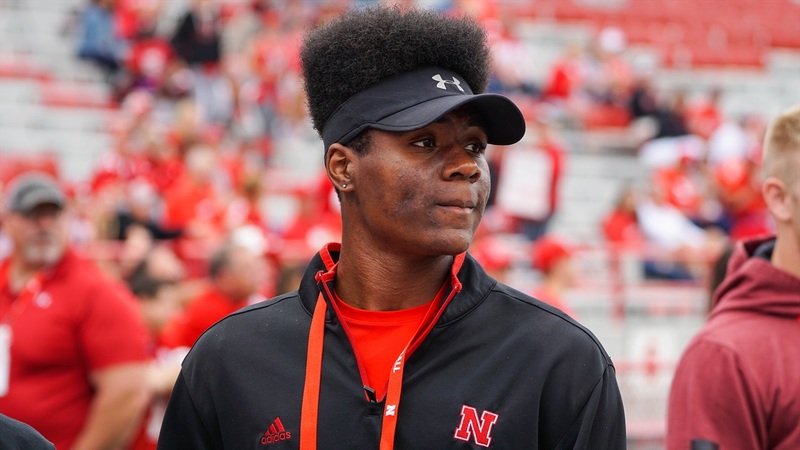 He made the trip to Lincoln for the Colorado matchup after having visited for Junior Day over the summer. What did you think of the overall experience? How has your relationship with the staff grown since we last talked in the spring? What did you think about the offense and how you could fit in it? “It was a lot what we do at [Bellevue] West. Well, I should say we run an offense similar to theirs. They run the ball a lot but try to throw the ball and spread the defense as much as possible. What schools other than Nebraska have been contacting you? Do you have visit plans right now for other schools? Do you have plans to get back to Lincoln for a game this year? What was the most memorable thing about the trip? “First one has to be the crowd. The crowd was awesome. It was so much energy coming from the crowd. I feel like it fueled the players a little bit more because they got their first game rained so that had to be a little stressful. Then getting to be on the field during pregame and going into the locker room to see what the team is doing before the start of kickoff."